The BTCC makes a second visit to Thruxton in 2019 for more high-speed racing action. The Kwik Fit British Touring Car Championship is the UK's most illustrious championship and is followed all over the world. The racing is fast, close and full of action. Since its inception in 1958 it has attracted and captivated millions of fans around the world. All cars are built to the same NGTC regulations allowing independent teams to compete on a level playing field against manufacturer-backed teams. Also in attendance are the F4 British Championship, Ginetta GT4 SuperCap & Junior Championship, Renault UK Clio Cup and the Porsche Carrera Cup. 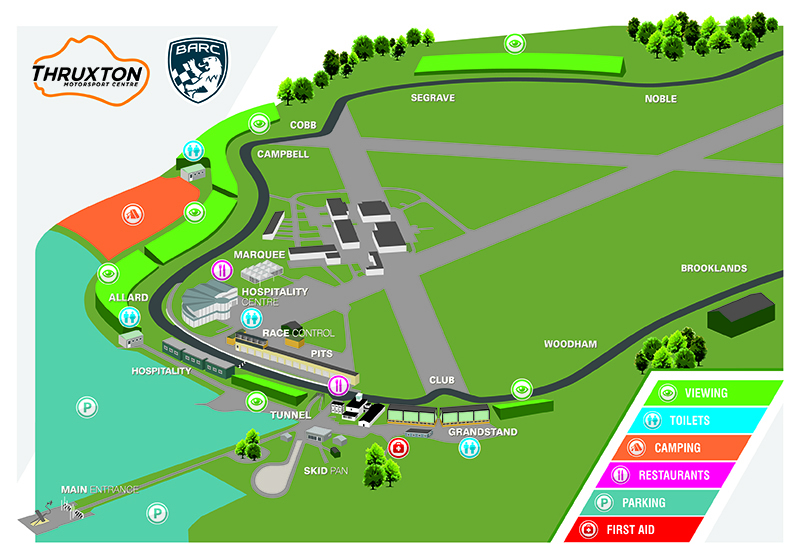 Saturday 17 August - Paddock access is free. Admission tickets include access to the paddock. Sunday 18 August - An adult paddock ticket is required. Teen tickets include paddock access. 13-15 year olds will need a teen ticket. Includes paddock access. Family BTCC race day ticket. This ticket is for 2 x Adults & 2 x Teens (13-15 years old). Children 12 and under go free. Grandstand seat for Saturday 17 August. Get the best view for all the BTCC and support race action. Grandstand seat for Sunday 18 August. Get the best view for all the BTCC and support race action.